Okayama Hostel Igusa is used be a Minshuku (Japanese traditional inn) with a beautiful Japanese garden and we renovated this 50 years old folklore house to a guesthouse. The hostel is Located in the beautiful countryside with great access to cities. Igusa Hostel is only 5 min walk from JR Hayashima Station, which is 11 min by train from JR Okayama Sta. where Shinkansen trains stop. We offer a 3-5 bed and 2 2-bed Japanese style private rooms and 5 bed (3 futon beds and 1 bunk bed) male and female dormitory rooms feature tatami (woven-straw) flooring with air conditioner and heater and free-WiFi. Bathrooms, shower facilities, Kitchen are shared. There is a common area where guests can enjoy one another's company. Igusa Hostel has great access to JR Uno Sta. (Uno Port) where the ferries depart frequently for Naoshima, Teshima and the other islands in Seto-inner-sea. The Hostel also has easy access to Kurashiki Bikan historical quarter, Okayama-city, Hiroshima and Shikoku. * Heating cost ￥200/per person/per night is required in addition to the rates during 15 Nov.-15 Mar. A quiet place to stay close to Okayama. Igusa is an older traditional japanese home. It was very clean and the staff are very nice, friendly, and helpful. The beds were nice, and there was a full kitchen and shower, place to do laundry. Outside of the house was a beautiful garden. I definitely recommend it! Absolutely loved my stay here! I was here only for 2 nights, but the staff is so nice and helpful. The atmosphere of this guesthouse is really special, with the beautiful garden. Overall they made great efforts to make it an environment where you can easily meet with others and talk (with japanese travellers too!) Conveniently located to access the islands too. Awesome place!!! The staff are friendly and want to get to know you, in addition to being incredibly helpful. The surrounding area is very interesting with a lot of things to check out. Loved the traditional setting and bedding!! 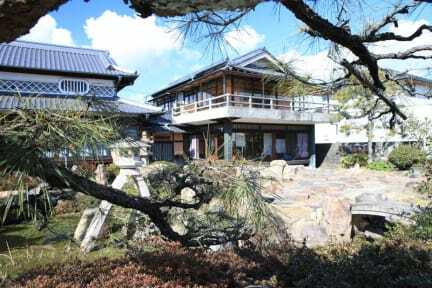 Okayama hostel Igusa is located in a picturesque town, 20 mins outside main Okayama city. While unexpected, it was great to experience a quieter side of life during my time in Japan. I had a wonderful time at Hostel Igusa. The staff were absolutely wonderful and I loved the coaster weaving workshop. It’s about a 15 minute train trip from Okayama and about a 30 minute train trip from Uno port which is good for those heading to Naoshima, Teshima, etc. 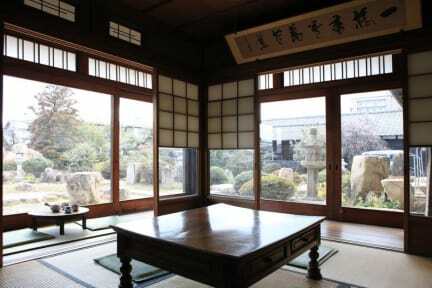 The house and garden are very traditional and lovely and there is a great Okonomiyaki restaurant nearby. Definitely recommend for those on a slower pace trip. Lovely traditional place run by young and very friendly couple! If you like old style living, with a mix of the young, this is the place to be. As with all traditional places, the hallways are not heated, so be sure to bring layers! Nice little guest house in small town outside of Okayama easy to get train into city. Hostel is clean, rooms are nice and beds are comfy. Staff are really nice. Atmosphere is decent for a small guest house. Great atmosphere, traditional stay house. Everything was lovely, especially the atmosphere and easy commute to Naoshima. The only problem was that the traditional futon beds were not the most comfortable. But that’s part of the experience of this lovely traditional house with garden and optional traditional breakfast.